BALTIMORE (WMAR) — Baltimore Ex Officio Mayor Jack Young is calling for new steps to be taken in how the City moves forward in its agreement with Associated Black Charities to run the City's Children and Youth Fund. In a statement released Thursday evening, Young calls for the Department of Audits to review ABC's management for the first year of funding. Additionally, Young is calling for a City Council Bill that would extend the agreement with ABC by one year to be put on hold, pending the audit results. 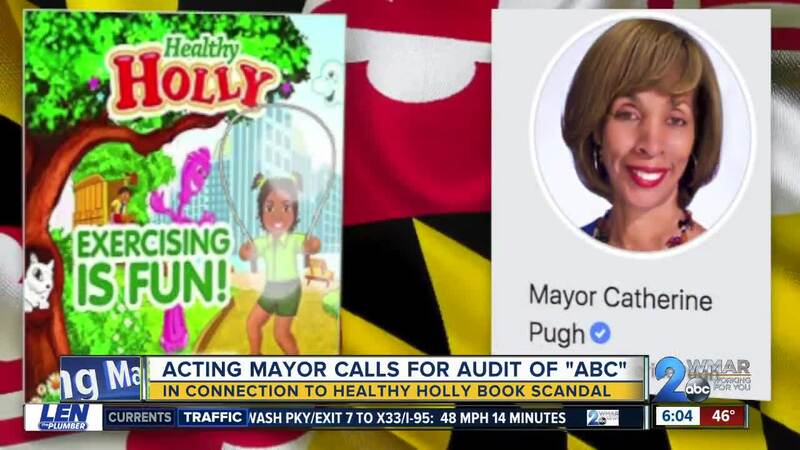 The call comes amid the fallout over the controversy surrounding Baltimore Mayor Catherine Pugh's Healthy Holly book. Young said ABC was chosen to manage the fund in 2017, and has since awarded $10.8 million in grants to 84 recipients. ABC was reportedly paid $1.2 million for their services. Between 2011 and 2016, ABC received thousands of dollars in payments from insurance giants such as CareFirst and Maryland Auto Insurance Fund to purchase and distribute Healthy Holly books. ABC reportedly planned to return the unspent money . "I am aware that these payments came well before ABC was selected to administer the Youth Fund. I have no concern that ABC’s management of the Youth Fund is related in any way to its relationship with Catherine Pugh or Healthy Holly, LLC." The news is the latest twist in a saga that first began when it was discovered that Pugh had struck a six-figure book sale deal with the University of Maryland Medical System while she sat on the board. Pugh has since resigned from the UMMS Board and taken an indefinite leave of absence from office, citing a battle with pneumonia. For the latest on the Healthy Holly scandal, click here .